This Wall Mural features the iconic First Avenue nightclub in Minneapolis and is one of my rare black and white images. This Minneapolis Wall Mural comes in three different sizes, and custom sizes are available as well by contacting me. Sizes and descriptions will be listed below. All of my Minneapolis murals are made for smooth and slightly textured surfaces. They are an easy to install peel and stick woven fabric, and they are removable and repositionable. They are also manufactured in the USA. More information is listed on my main Minneapolis Wall Murals page. All Murals have FREE Shipping! Don't see a size you are looking for, custom sizes are available. Contact me to get started on your custom order. 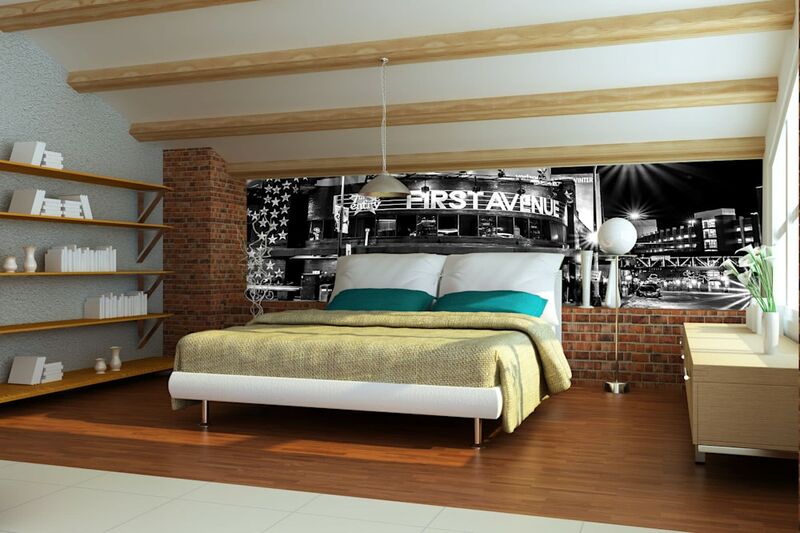 This 3-Piece Canvas Art piece named "First Avenue 5" consists of three equal sized pieces that feature the Minneapolis icon First Avenue Nightclub. All three panels are the same size, and you have the choice between Metal prints or Canvas Prints. All 3 panels come ready to hang, you just simply need to decide which way you want the panels to be! See other media options for this print in my Minneapolis Art Gallery. In all of my years of taking pictures of Downtown Minneapolis, I had never taken any of the world famous and iconic First Avenue Night Club. I changed that in January 2019 as I spent the night near First Ave and Target Center. This photo features the exterior of First Avenue in a classic black & white view. This print is also available as a Minneapolis Wall Mural. I hope you enjoy my pictures of Minneapolis Minnesota, and please feel free to share! First Avenue 5 Photograph as Fine Art.